We started at the Fisherman's Wharf terminus of the Hyde Street Cable Car line and watched mesmerized as the operator turned the vehicle around by hand. 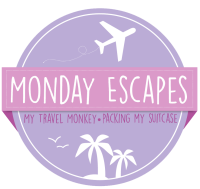 We quickly boarded and were on our way! 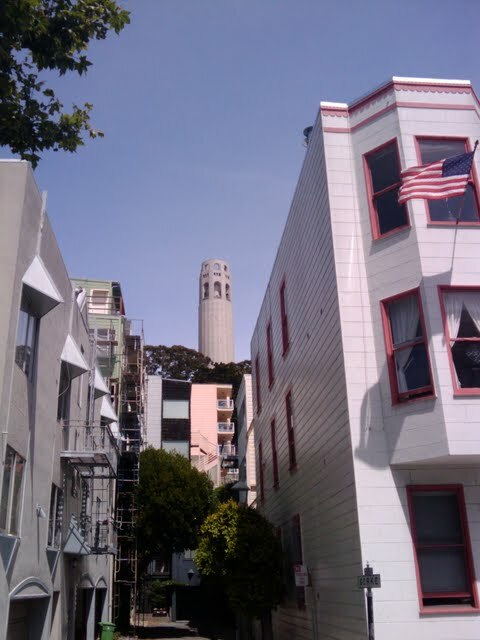 The Hyde Street Cable Car line is particularly touristy -- witness the photographers documenting our approach up the hill. 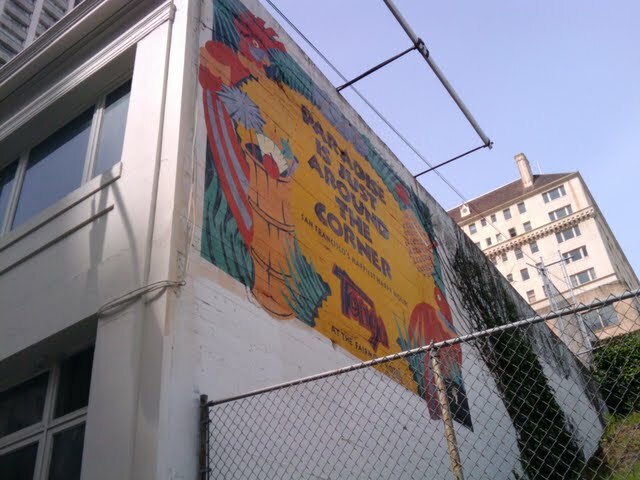 Our cable car driver was hilarious and fun but I have to say he wasn't smiling quite so much when the cable car broke down en route to the far terminus and we were forced to debark ahead of schedule near the top of Nob Hill and this sign for the Tonga Room -- "Paradise is Just Around the Corner" we were promised. 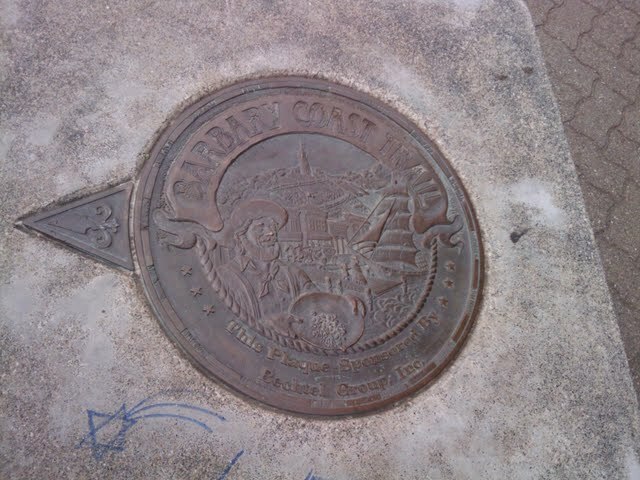 With a little extra foot power, we made our way to the start of the Barbary Coast Trail in front of the Old Mint. 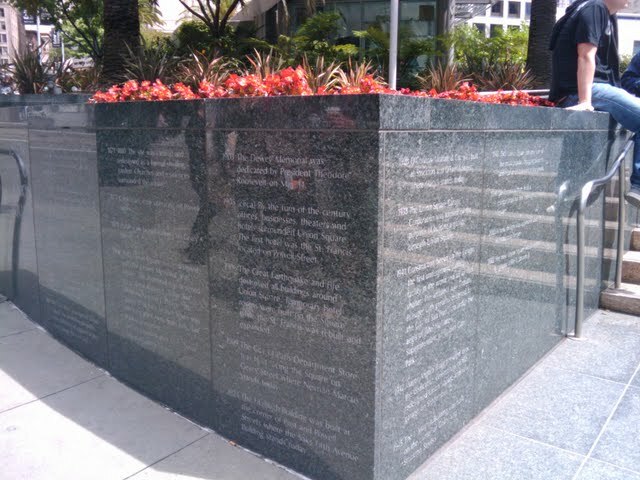 I had a book, Walking San Francisco on the Barbary Coast Trail that contained detailed descriptions of all the important places along the route. 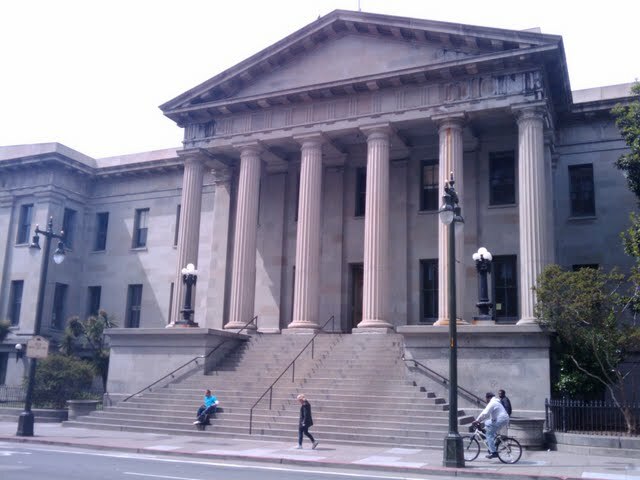 While it would also make for good armchair reading, we were regaled on the spot with tales of how heroic workers protected the Old Mint and the gold inside against the fire that erupted after the 1906 earthquake. 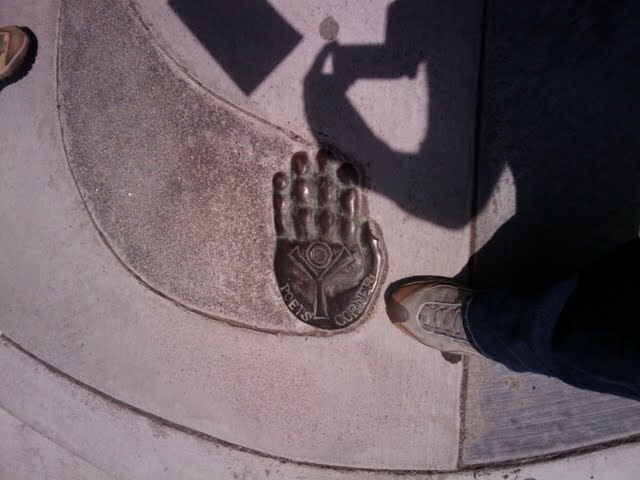 There were some interesting sidewalk plaques unrelated to the Barbary Coast Trail in the park. 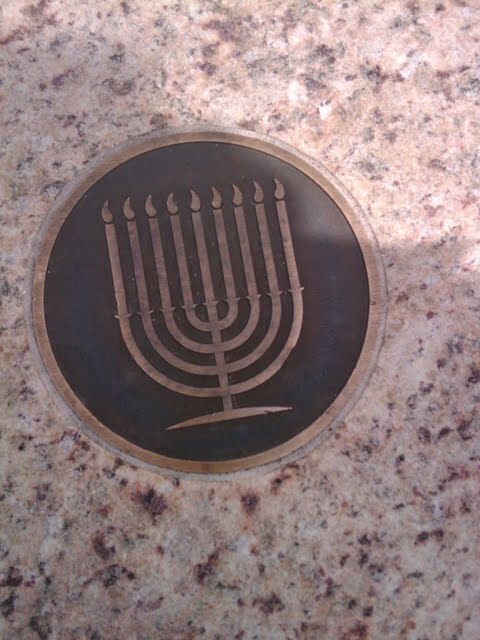 We saw both a menorah and a director's chair. 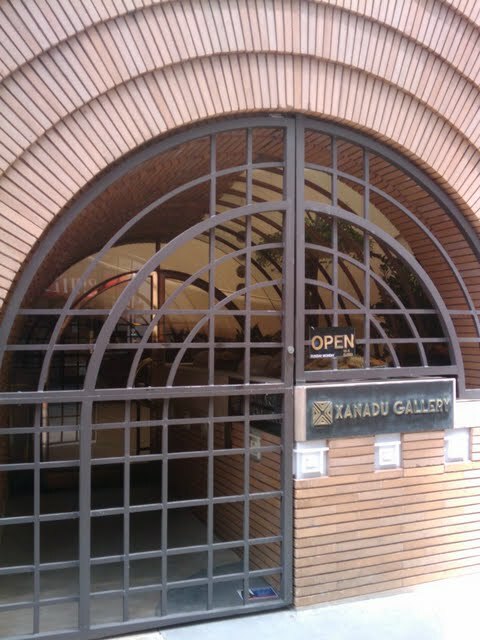 Nearby Maiden Lane features a building (Now the Xanadu Gallery) designed and signed by Frank Lloyd Wright. 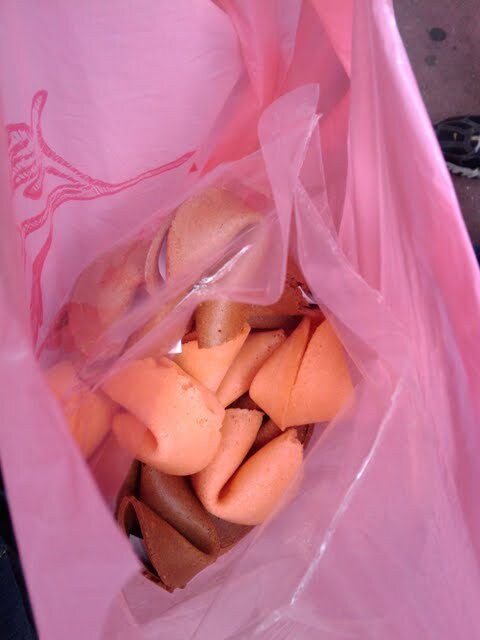 ...and fortune cookies! 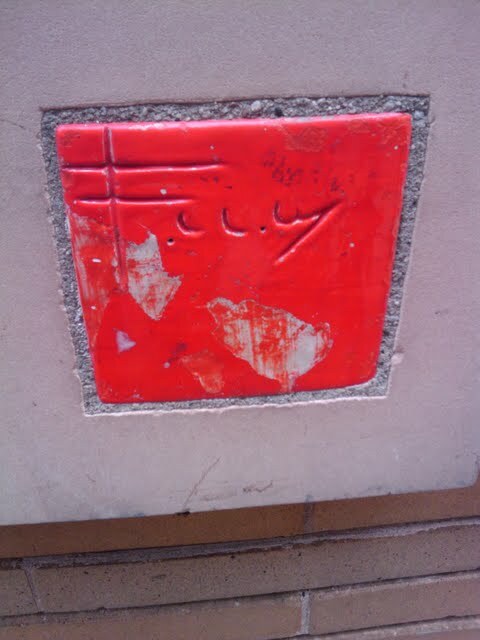 We were able to watch the production process at the Golden Gate Fortune Cookie factory hidden away on Ross Lane. 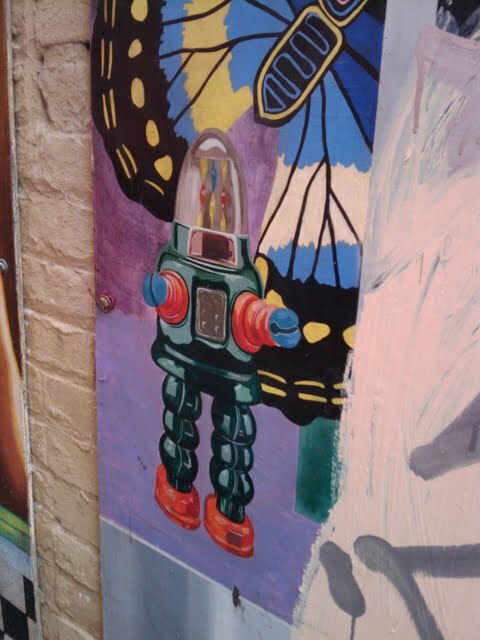 The rest of the crowd seemed immune to the art on display along the network of alleys in Chinatown. We encountered an idyllic statue of Sun Yat Sen in the hidden park behind St. Mary's Church. 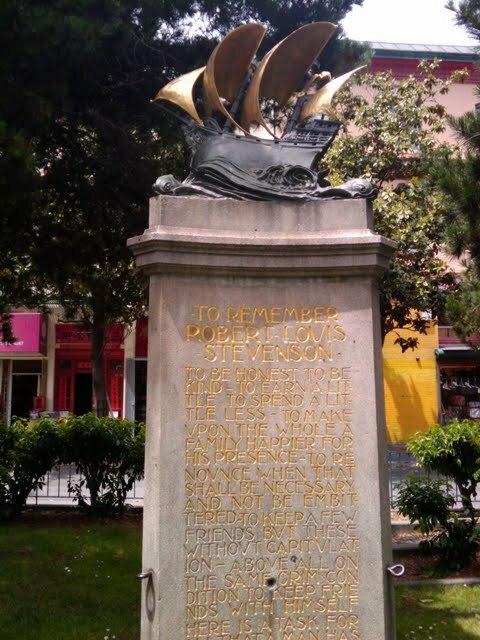 We continued following the trail through Portsmouth Square Park which features a variety of striking sculptures. 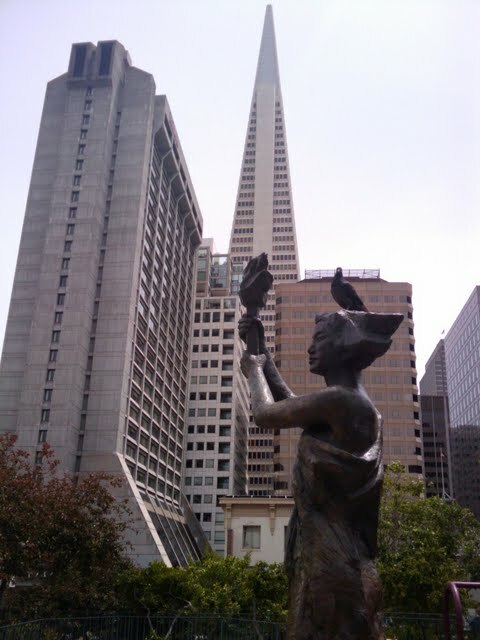 I loved this composition with pigeon perched upon a statue with a backdrop of the Transamerica Pyramid. 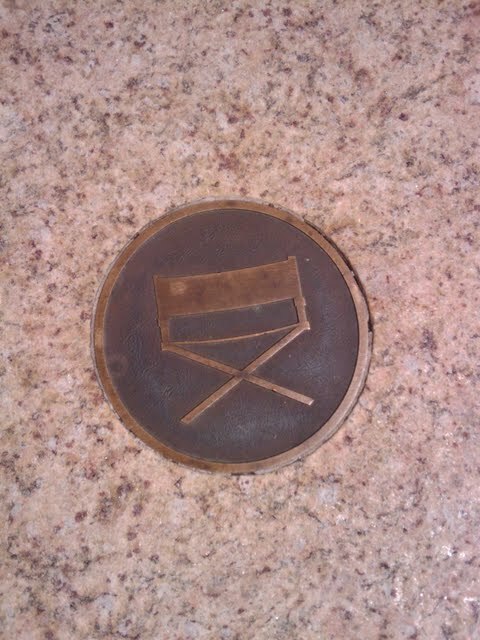 We had already walked quite a distance so when we passed Francis Ford Coppola's Cafe Zoetrope we knew it was the perfect place for lunch. 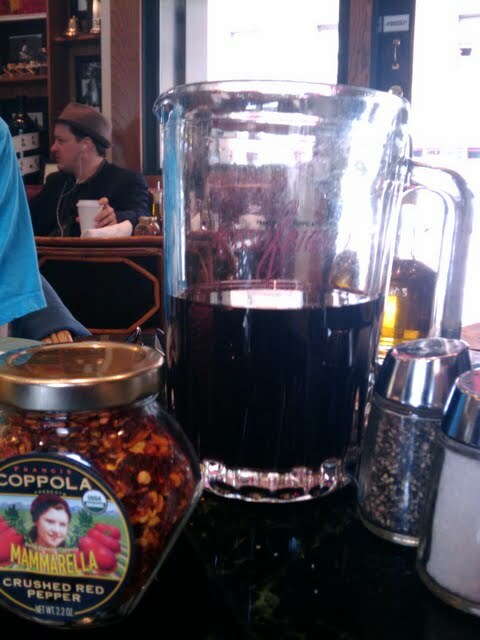 There were four of us at lunch so we opted to share a pitcher of Coppola's fine vino with our meal. 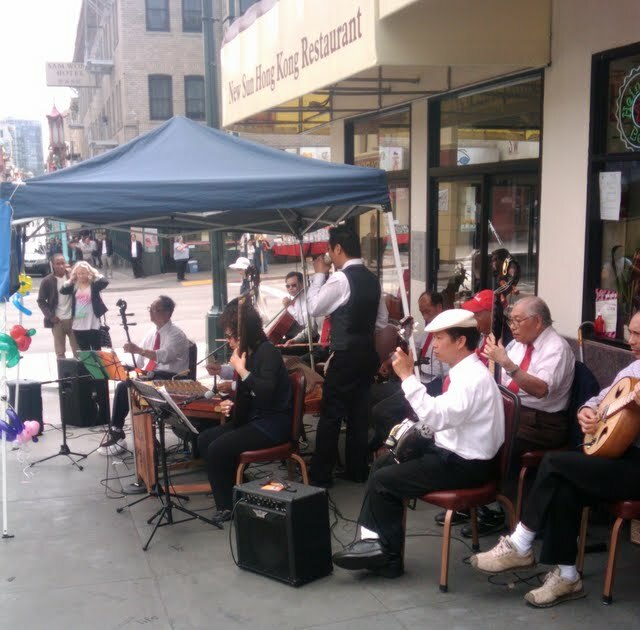 Refueled, we continued on and saw this Chinese street band performing near the North Beach border. We encountered an unexpected 360 degree rainbow as a halo around the sun on our walk through North Beach -- it was a gorgeous afternoon! 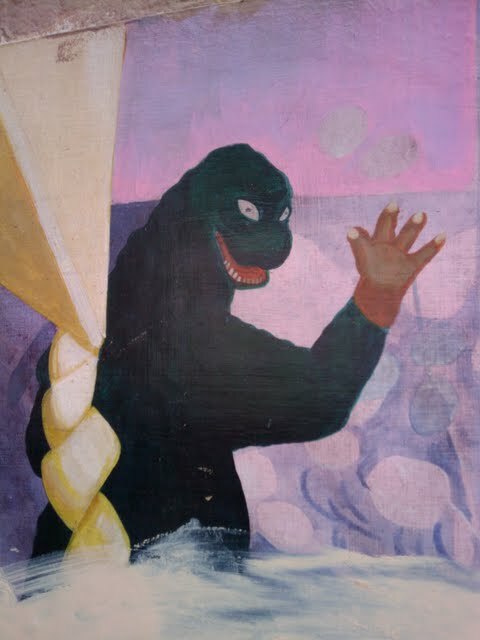 We saw odds and ends in a curious window display in a North Beach storefront. 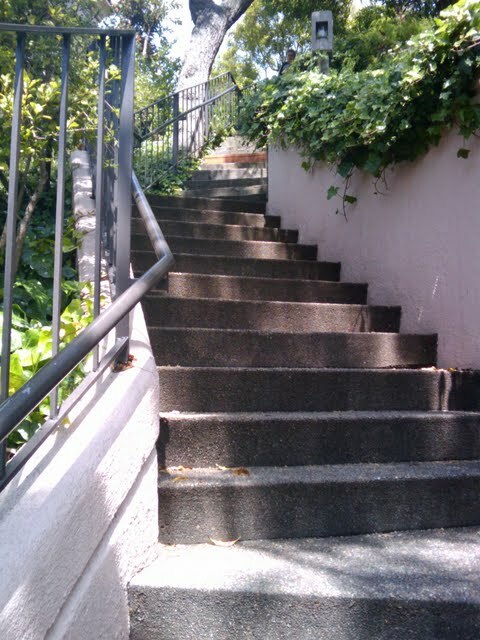 The trail took an uphill turn toward Coit Tower where we chanced upon "Poet's Corner". 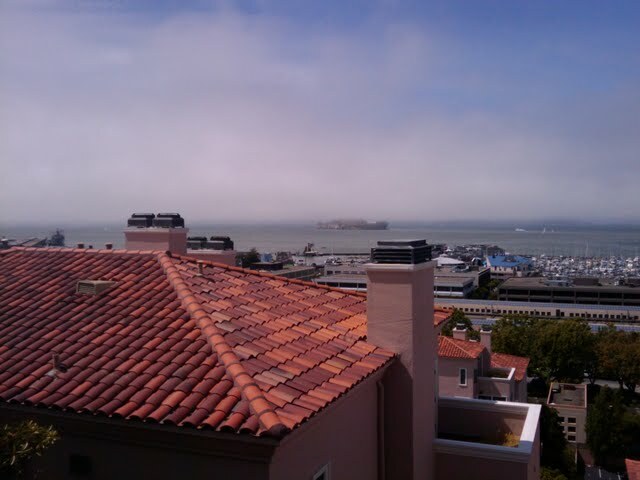 We could see Coit Tower in the distance but decided not to take the uphill detour to the majestic fire hose itself. 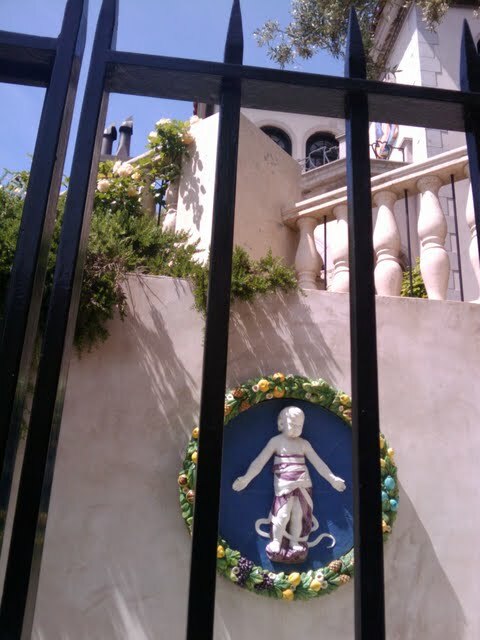 There are some gorgeous houses in this part of the city including this nicely decorated estate. The views were lovely but the "park" was little more than a small balcony at the top of the staircase. 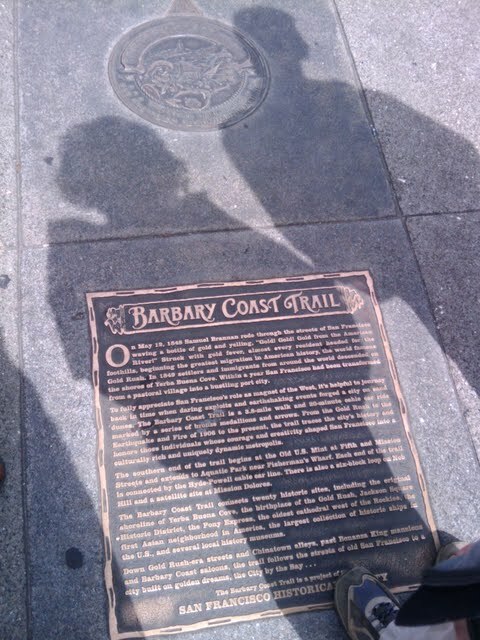 A self-guided walking tour of the Barbary Coast Trail in San Francisco, California.